Education is never at rest, even during those short summer months that seem to slip away faster than they arrive. 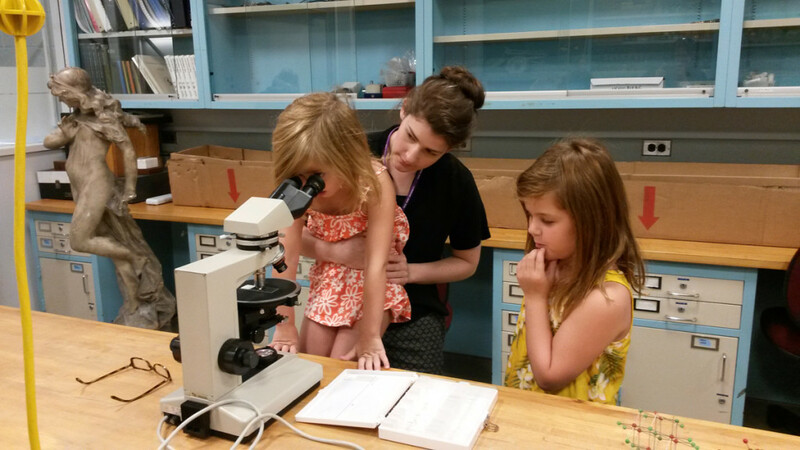 Recently, the Conservation Center at the IFA welcomed two young and insatiably curious visitors who understand well that the summer is without a doubt the best time to explore and learn new things. It all starts with a bit of curiosity. Anna, a rising second grader, has recently developed a keen interest in the fine arts. Her trips to art museums have yielded questions including: How do paintings last so long? Who takes care of them? Are they all original? Along with her younger cousin Elizabeth, Anna got a behind-the-scenes tour of what we conservators do, the tools we work with, and the precautions we take to ensure the safety of the art and ourselves. 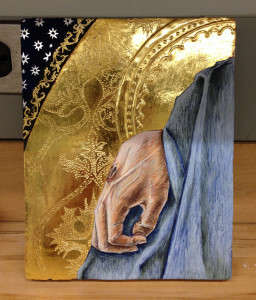 Panel painting after Carlo Crivelli’s Pieta, 1476, by Sarah Mastrangelo. 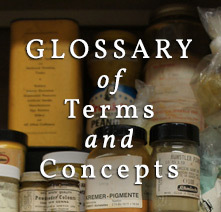 Technology & Structure is a required course for first-year students at the Conservation Center. The course is reputedly one of the “juiciest” classes students will take during their training, and has thus far not failed to deliver. In the Fall of 2014, our class learned how to make panel paintings using historical methods and tools. Alan Miller, Associate Conservator at the Metropolitan Museum of Art, led us through the process. 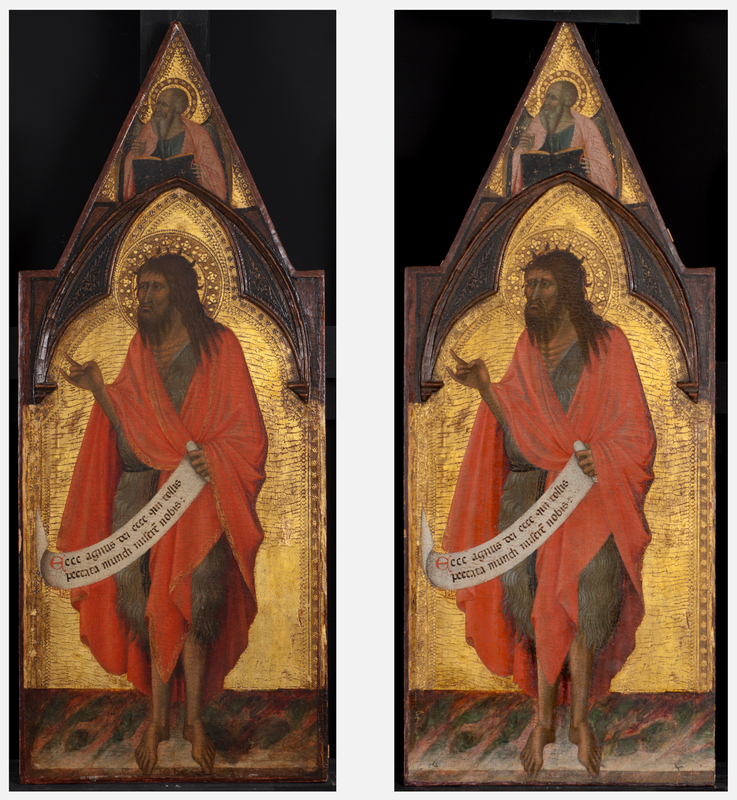 Following the recipes of Cennino Cennini, as described in his Il Libro dell’Arte, we set out to replicate details of early Italian masterpieces found in the collection at the Metropolitan Museum of Art. 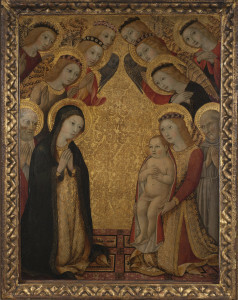 Figure 1: Sano di Pietro, Adoration of the Child. 1473. 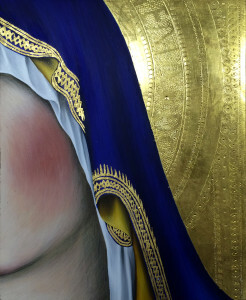 Egg tempera on panel with gilding. 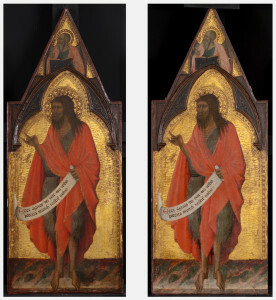 20.5 x 15 inches (64.5 x 85.5 cm) Gift of the Samuel H. Kress Collection, Mead Art Museum, Amherst, MA.